*BeRuby is a portal that you can personalise! 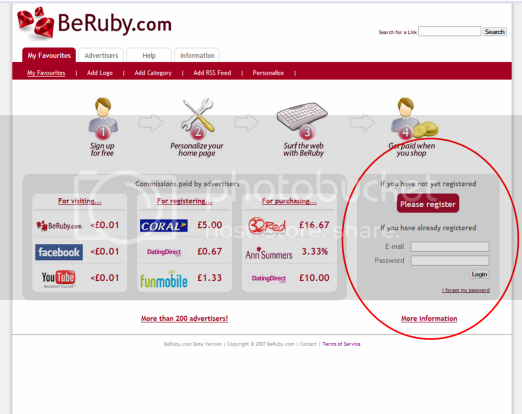 BeRuby has advertising agreements with all the sites that display the Ruby symbol. Unlike other portals, BeRuby shares the revenue generated through these agreements. 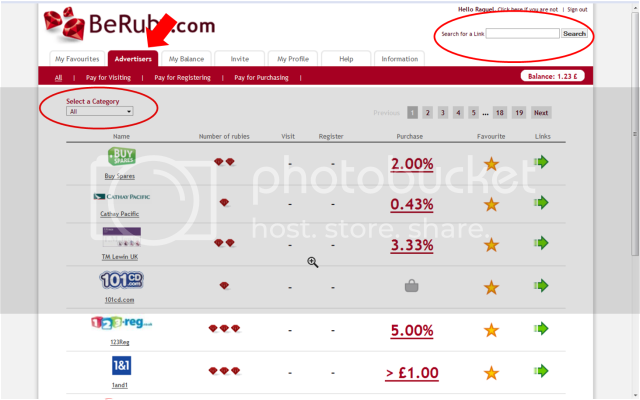 BeRuby gives the user, one-third of the advertising revenue that you generate by visiting, shopping or registering in these sites. 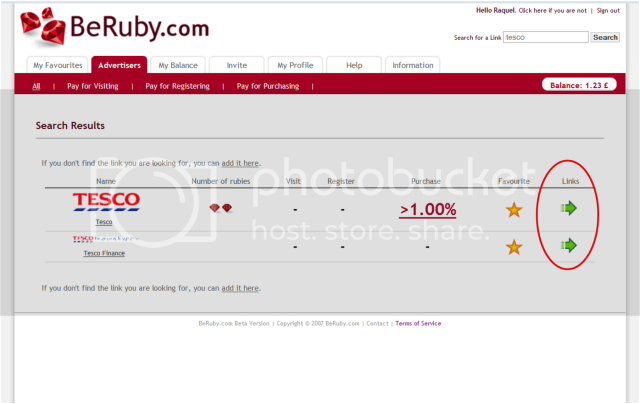 I thought it would be nice to give some simple user instructions periodically to help you make the most out of BeRuby. 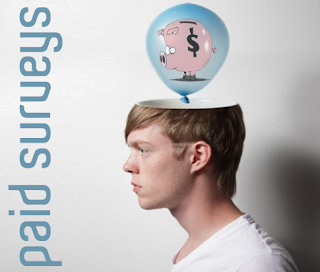 Today we will cover how to take advantage of the offers I post here in the blog. The first step of any BeRuby process is to login to your account. From this point, you have two ways of finding the advertiser I mentioned in the blog. focused into subcategories to help you find more information. Now that you have found the advertiser you are looking for, here is how to get to their website and start earning money! Click on the green arrows (circled in red below) to go the advertiser’s website. When you complete the action the advertiser pays for (a visit, registration or purchase) they tell/pay us, and we pay you. If you have any further questions, feel free to post a reply! I’d be happy to help!